Through this Effort we can make a Big Difference in the Lives of Those Impacted by the Recent Hurricanes. Annapolis Boat Shows will be matching the first $5,000 donated dollar-for-dollar. Hurricane Irma, the most powerful Atlantic Ocean hurricane in recorded history, has passed through the British Virgin Islands, the Caribbean and onto the US, leaving behind a trail of devastation. Shortly thereafter, other hurricanes and tropical storms, including Hurricane Maria, followed. We are only just beginning to understand the extent of the devastation caused. Thank you for making a gift in support of the groups that are on the ground providing hurricane relief to those in need. Virgin Unite is 501(c)(3) and donations are tax deductible. The Virgin Group will be doing everything we can to support and assist our local community through this extremely testing time. Virgin Unite, Unite BVI and Virgin Limited Edition are raising money for the long-term reconstruction of the BVI; to fund, support and work with local partners on the ground. Virgin Unite’s overheads are covered by Richard Branson and the Virgin Group, meaning that 100% of all donations received will go directly to helping support local BVI communities. Hurricane Maria has left the people of Puerto Rico on the brink of a humanitarian crisis. Friends and families are rallying against widespread devastation to aid one another and rebuild their lives. They will succeed – but only with our help. Puerto Rico Strong 501(c)(3) status currently in process. Upon approval all gifts will be 100% tax deductible and this will be retroactive to the first dollar. Please use the code: “ABS” in the “Message Section” when making your donation so that your gift counts toward the total raised by this effort. The loving spirit and character of our employees, and the people of the BVI, has always been what has made Pusser’s so special – these are the people who have lost the most to Hurricane Irma. Due to the overwhelming response, we have set up a fund for those of you who wish to donate directly to Pusser’s employees during this extremely difficult time. 100% of your donation will go to help Pusser’s employees and their families. In response to the overwhelming outreach we have received from people who want to help, we have set up a fund to support the employees of Bitter End who have been impacted by the storm, and to help the Virgin Gorda community rebuild their lives. The TMM team has been a significant force in the development of the tourism industry in the BVI. TMM yacht owners have set up a YouCaring TMM funding site to help support our dedicated staff, some of whom have been employed by TMM for over 25 years. Pre Hurricane Irma, TMM employed 20+ people, most of whom have lost their homes and possessions in this storm, and with the devastation of the tourist industry, have also now lost their livelihoods. Please use the code: “ABS” under “Add Special Instructions” when making your donation so that your gift counts toward the total raised by this effort. The SISTER SEASON FUND is a volunteer-run 501c3 in Key West (in existence for 12 years) that helps the locals employed in tourist related industries, when a temporary financial emergency occurs from an accident or illness, or other catastrophe through no fault of their own. The American Sailing Association is a registered 501c3. Donations may be tax deductible. Please consult your tax advisor. BVI Recovery Fund will be at United States Sailboat Show on October 5th and Donor Appreciation Party to Process Donations. All funds raised will go towards rebuilding the territory after the storm’s devastation, and helping the people who have lost everything due to the destruction of Hurricane Irma. This is the Official Relief Fund for the Government of the Virgin Islands. Sunsail/Moorings Employee Relief Fund will be at United States Sailboat Show on October 5th and Donor Appreciation Party to Process Donations. 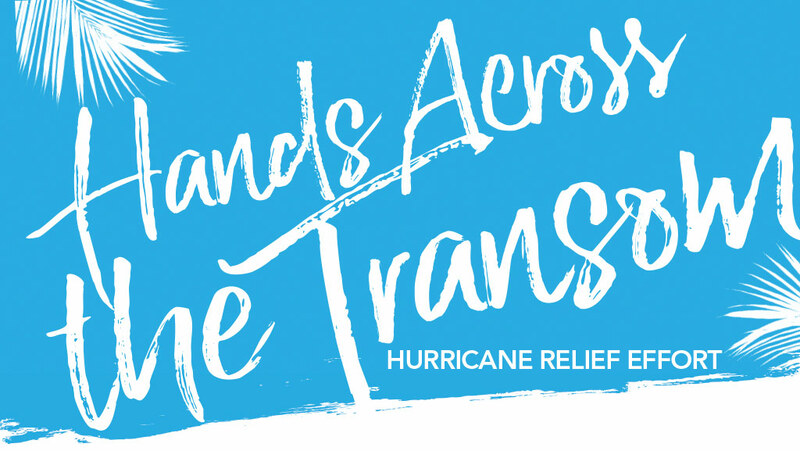 Following the overwhelming offers of support from our customers and friends asking how they can help, we have set up an employee relief fund, to assist those team members directly affected by the recent Caribbean hurricanes with short term aid.